This Friday: Art and Hot Buttered Rum! 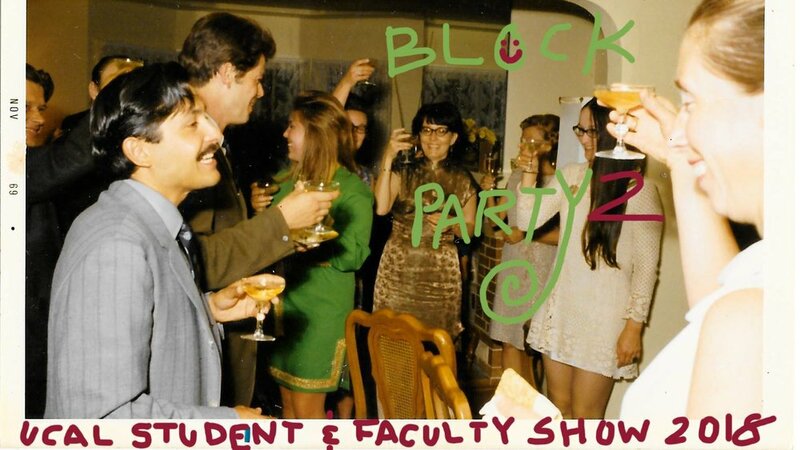 Join us this Friday night from 6-8 pm for Block Party a joyous celebration of UCAL student and Faculty work. There will be craft vendors selling the perfect holiday gifts, art on the walls, hot buttered rum and a festive holiday spread! At 7 pm there will be a performance by Vervet Dance right in the gallery. See you Friday night!